Everyone wants more megapixels, but instead of asking about resolution, savvy travellers should be more concerned about the size of the sensor in any prospective travel camera. 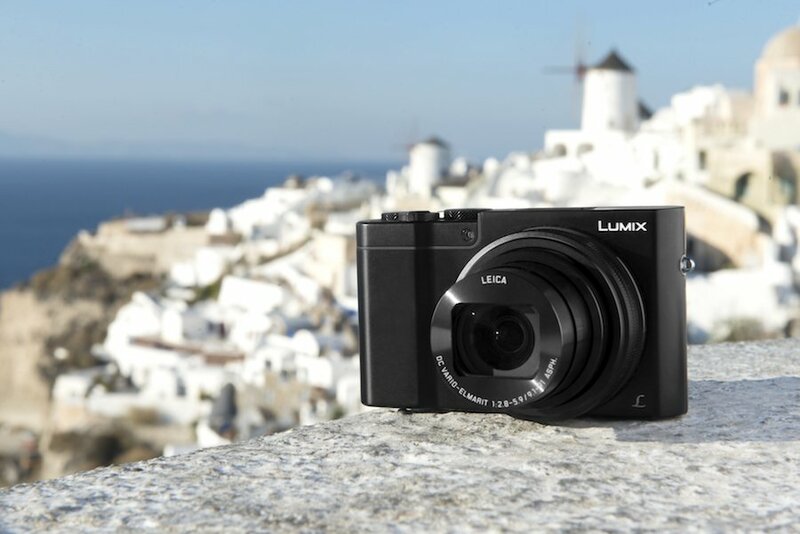 When it comes to a compact, pocket-sized camera like the Panasonic Lumix TZ100, that goes double. Happily, the TZ100 not only has a one-inch sensor – a hugely valuable feature for better travel photos – but it also has 20.1 megapixel images, since you’re asking. It’s billed as being ‘the ultimate travel companion’, and it’s hard to disagree while framing a shot using the TZ100, which has both an electronic viewfinder and a large LCD screen. The 10x optical zoom proved really handy in our test in Madrid and Segovia in Spain, allowing close-ups and crops way beyond that offered by a phone, while its 110.5 x 64.5 x 44.3 mm size and 310g weight made it easy to carry. Compared to a DSLR, it’s a breeze. Once we’d got to grips with the interface, firing-off a round of ‘intelligent’ photos in bright sunlight was too easy, though making adjustments in manual mode was also easy. Even better in this era of social media, it proved a cinch to hook-up the TZ100 to an iPhone via WiFi Direct to transfer individual shots from the TZ100 via an excellent app. While in Segovia we posted a few pictures to Instagram while in a cafe between shoots. The TZ100 is also primed for the very latest in video, shooting in 4K resolution at 25 frames per second, though if you want smoother-looking footage, choose Full HD resolution, which offers twice the frame rate. Our only disappointment the TZ100 image-wise was with night sky shots, which suffered from picture noise; open the aperture as wide as it will go (25mm) and the TZ100 insists on using ISO 1600. For night sky shots, it’s best never to go further than ISO 800. In that department, the Sony Cybershot RX100 IV is superior. Though we adored its compact design, image quality and ease-of-use, what we love most about the TZ100 is the way it’s recharged. Having to take a proprietary charging cradle on long trips just to refuel a small camera has always been massive bugbear of ours, so it was very refreshing to find that the TZ100 has an internal battery that can be recharged via any microUSB cable. Since most of us travel with such a cable anyway, that adds still further to the TZ100’s reputation as compact camera ideal for travel.